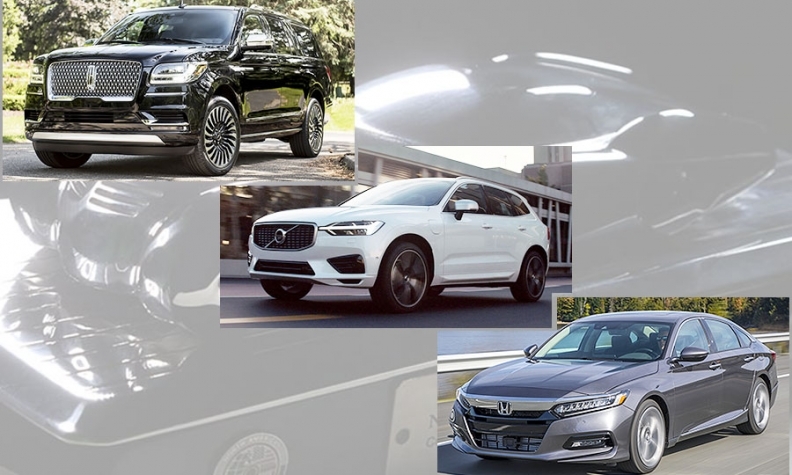 DETROIT -- The Honda Accord won the 2018 North American Car of the Year at the Detroit auto show, while the Lincoln Navigator took the truck honors and the Volvo XC60 was named top utility vehicle of the year. This year’s winners were selected by a jury of 60 American and Canadian automotive journalists -- including Automotive News Reporter Richard Truett and Senior Editor Sharon Silke Carty -- from a group of three finalists in each category. A vehicle must be redesigned or significantly changed to be eligible for the award. The Honda Accord and beat out the Kia Stinger and Toyota Camry. This is the first win for the Accord, which was a finalist for the industry’s highest honor in 2008 and 2013. The Lincoln Navigator trumped the Chevrolet Colorado and the Ford Expedition. Only three vehicles were eligible for the truck segment, and by default, all three became finalists. This is the first ever win for the Lincoln brand. The Volvo XC60 took utility vehicle of the year, beating out the Alfa Romeo Stelvio and the Honda Odyssey. This is the third year of the utility category -- before which crossovers, SUVs and minivans competed in the truck category. The tenth generation Accord was “virtually new from the ground up,” according to Henio Arcangeli, senior vice president for the automotive division at Honda North America, who told Automotive News the win was the cherry on top of a great year. “There’s still millions of cars and sedans sold in the United States, they’re very popular, and Honda’s been very successful selling sedans so we see a bright future with sedans as we do CUVs as well,” Arcangeli said. Honda is also planning to launch a hybrid Accord in the coming months. Anders Gustafsson, Volvo Cars’ CEO of North America, said this year’s win was a great start to the year, but he doesn’t want to look too far in advance. “First of all, this award, then we also open up our plant in Charleston (S.C.) in a couple of months. But now, we just enjoy this,” Gustafsson said. 2018 was the first year Alfa Romeo and Kia were finalists for the awards. The three finalists in each category were chosen from a list of 11 cars, 15 utilities and three trucks in November. Models on the short list were narrowed down from a list of 35 in fall, of which 20 were crossovers or minivans. The Alfa Romeo Giulia, Audi A5 Sportback, BMW 5 series, Hyundai Ioniq, Kia Rio, Lexus LC 500, Porsche Panamera and Subaru Impreza were the other cars on the short list. Other eligible utilities were the Audi Q5/SQ5, BMW X3, Buick Enclave, Chevrolet Equinox, Chevrolet Traverse, GMC Terrain, Jeep Compass, Kia Niro, Land Rover Discovery, Land Rover Range Rover Velar, Mazda CX-5, Nissan Rogue Sport, Subaru Crosstrek, Toyota C-HR, Volkswagen Atlas and Volkswagen Tiguan. Notable features in this year’s batch of include driver-assistance and safety features that previous finalists haven’t displayed, according to NACTOY President and juror Mark Phelan. Phelan wrote in an email to Automotive News that diminished buzz around this year’s winners doesn’t mean they are any less deserving. The Chevy Bolt, Honda Ridgeline, Chrysler Pacifica won the 2017 North American Car, Truck and Utility of the Year awards.